Point of sale software and hardware products and services for restaurants in Ottawa and the surrounding area. Super Duper Pizza now has Online Ordering integrated within their RestSoft POS system. The just opened Geo's Pizza in Orleans select RestSoft for their point of sale solutions provider. For this install we were able to re-use the hardware from the previous tenant and save the new owner some money. We also integrated our custom online ordering system with their POS solution. Isabella Pizza Ottawa recently upgraded their POS system to be directly integrated with their online ordering solution. One of our long time POS customers recently upgraded their 2 station point of sale system to the newest, touch friendly version of RestSoft. The newly opened Louie's Pizza & Chicken has selected RestSoft as their POS solution provider. The owner of this store selected RestSoft after talking to other restaurant owners in the area about Point Of Sale software they recommend. One of Barhaven's oldest barber shops, Super Sam barber Shop has selected RestSoft as their POS solution provider. Newly opened Pizza A Lacasa has selected RestSoft as their Ottawa POS solution provider. The new owners of Mano City Pizza in Manotick Ontario have selected RestSoft as their point of sale solutions provider. Shawarma's King contacted us to upgrade their version of RestSoft with the idea of improving efficiency and saving paper. The cooks now view incoming orders on a tablet located in the kitchen. 2015's Best Restaurant Stittsville/Goulbourn Kungfu Bistro was having issues obtaining support from their current POS provider. We got the call to replace their older, Windows XP system with RestSoft Dining room and Take-out. Just opened "The North Glengarry" restaurant has selected RestSoft as their point of sale solution provider. The proud owners of their new establishment also have Restsoft in their other restaurants. 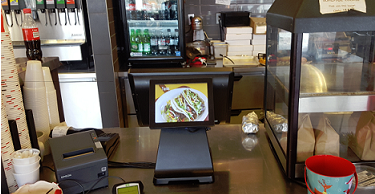 Ottawa's newest and best Mexican grill, Burrito Gringo at Huntclub and Bank st. has selected RestSoft as their custom point of sale solution provider. One of our first customer's has recently upgraded to the latest version of RestSoft Take-out including replacing all of their POS hardware. Ottawa's newest and best Mexican grill, Burrito Gringo at the St. Laurent R.d. Shopping Centre has selected RestSoft as their custom point of sale solution provider. Ottawa's newest and best Mexican grill, Burrito Gringo on Merivale R.d. has selected Restsoft as their custom point of sale solution provider. Ottawa's newest and best Mexican grill, Burrito Gringo on Bronson Ave. has selected RestSoft as their custom point of sale solution provider. Newly opened Lakeside Shawarma in Carelton Place Ontaio has selected RestSoft as their point of sale provider. 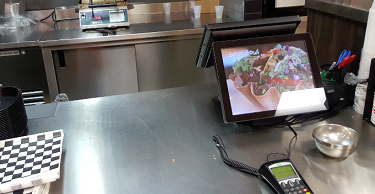 The new owners of Greeko's Souvlaki & Pizza decided to replace the aging point of sale system with a completely new, dual station solution from RestSoft. The owners have used RestSoft in their other restaurants so it wasn't a hard decision to make the switch. The newly opened Generations Inn, in Carleton Place Ontario has selected RestSoft as their point of sale solutions provider. In addition to full dining-room/bar and take-out point of sale service, this custom solution also allows staff to process cottage and equipment rentals. After 10 years of using RestSoft point of sale, Tonys Pizza in Orleans has upgraded to the latest version of RestSoft software. Having an extremely busy summer, The Eating Place in Carleton Place Ontario called us today to add a third point of sale station to their restaurant. After over 5 years of reliable service Willys Pizza in Stittsville, Ontario called us to replace the point of sale server. With most restaurants dependent on their point of sale system it's always best to replace hardware before it breaks. Call RestSoft for your next hardware upgrade. Gabriels Pizza in Barrhaven called us today for with an urgent request for a replacement kitchen printer. It was 4pm on a Friday and their kitchen printer had just quit working. In less than 1 hour we had delivered and installed a new Epson receipt printer in their kitchen. Having problems getting support with your existing Point of Sale provider? Call RestSoft for the best in support and customer service 613-794-9055. After running an older version of RestSoft for more than 10 years, Bobbies pizza in Ottawa, Ontario has upgraded to the latest version of RestSoft. At RestSoft we are always updating our software to add new and advanced features. Now that the Canadian penny has been phased out we have updated RestSoft to support rounding to the nearest nickel. All customers with RestSoft 6.0 and above are encouraged to download this optional update. After 7 years of reliable service, Milano Pizza has decided to pro-actively replace some of their point of sale hardware. RestSoft always recommends regular maintenance of POS hardware and software. Ask us about our annual service contracts that start from $175/year. Seeing a significant increase in business Riverside Pizza has added additional stations to his already existing point of sale system. No matter how busy your restaurant gets RestSoft will be there to support you. Call us today 613-794-9055 to see how we can support your restaurant. We were contacted by the owner of Taters Chip Wagon to design a custom solution for her very busy business. After meeting with the owner and gathering all the unique requirements of a chip wagon business we designed a custom version of RestSoft mobile. This solution uses a custom built POS server PC along with an Apple iPad mounted in the kitchen area. The totally paperless solution has greatly improved order taking time and accuracy leaving more time for upselling and customer interaction. Check out the Taters Facebook page www.facebook.com/pages/Taters then go see them in person for the best fries in the city!!! "Restsoft was highly recommended to me through an associate. I had a very specific custom pos system in mind, I can honestly say Restsoft exceeded my expectations not only with the custom job I requested but with the speedy and friendly service. Restsoft single handedly improved my business 110%, absoulutly no regrets. If your considering Restsoft systems I invite you to contact me to see my pos system for yourself. "Our business needed a serious change. RestSoft not only provided us with a point of sales software that enables us to take orders very quickly and easily, but overcame our expectations by offering us better solutions to fit our business needs. RestSoft created a communication portal between us and our employees, which provides our clientele a quicker, better services. We are very satisfied with RestSoft and we would recommend it to any small to medium sized business." President/Founder Beer Man Inc. & To Your Home deliveries Inc.
Rockland's newest take-out restaurant, Spartas Greek, has selected RestSoft as their point of sale solutions provider. The newly opened Thai restaurant "The Hot Wok" in Perth, Ontario has chosen RestSoft as their point of sale solutions provider. This solution included 2 point of sale stations with a kitchen printer located 75 feet away. After over 5 years of service Jersey Joes called us to see about upgrading their POS computers. Given the harsh restaurant environment, RestSoft always recommends that customers consider hardware replacement after 5 years. We recently went back to Milano Pizza in Richmond Ontario to install a second POS station and re-locate the original POS station to be closer to the kitchen. We always ensure that our customers are satisfied with their installation and believe after sales service is what sets us apart. We've been so busy this summer we haven't had time to update this page. We were called upon to do multiple take-out and full serve restaurant point of sale installs in Ottawa as well around town Ontario. Today we installed RestSoft Dine-In at "The Eating Place" restaurant in Carleton Place, Ontario. This install included 2 point of sale stations, 1 station for the full-serve dining room and 1 station specifically for taking take-out orders. Are you a restaurant owner located in small town Ontario and looking for a point of sale solution? Call RestSoft (613) 794-9055 to discuss how we can help. Today we finally retired our old web site, hope you enjoy the new look. After many years of pen and order pad, Milano Pizzeria in Richmond, Ontario has selected RestSoft as their point of sale solution provider. Are you still using pen and order pad? Call RestSoft (613) 794-9055 and ask us how we can make order taking a breeze. The new owner of Riverside Pizza having been a previous client of Restsoft has once again selected Ottawa's point of sale leader for his new restaurant. Thinking about buying a take-out or dine-in restaurant, call Restsoft to discuss how we can make your restaurant purchase as smooth as possible. Today we completed a point of sale install for newly opened Elegant Pizza in Orleans, Ontario. In this case the owner wished to use some hardware from a restaurant he previously owned. We were happy to oblige and completed the install of our main product RestSoft 6.0 on the hardware provided. Call us today 613-794-9055 how we may accommodate your needs. Today we were contacted by the restaurant owner to support them during recent flood damage recovery. 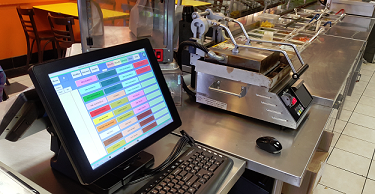 We were asked to remove, inspect, test and re-install their RestSoft point of sale installation to ensure all the equipment was in good working and undamaged condition. After a thorough inspection we had them back up and running within 24 hours. Today we upgraded both POS terminals at Milano Pizza Orleans to Restsoft 6.0. This upgrade included new custom built point of sale computers running the latest Windows 8. Today we have installed our 9'th point of sale solution for the Willys Pizza franchise. Their newest store is located at 800 Huntclub Rd at Uplands R.d in the south end of Ottawa. The recently renovated Jo Jo's Pizza in Stittsville, Ontario has also renovated their point of sale system. This included upgrading to RestSoft 6 as well as a new custom built POS computer. Did you know that most point of sale equipment has a useful lifespan of about 5 years. It's always better to replace before it breaks, we can help, call RestSoft today 613-794-9055. We are hard at work on a new point of sale product that will allow restaurant order taking (dine-in and take-out) from almost anywhere. More details coming soon. This month, Willys Pizza renovated and opened a new location, this time on Kilborn Ave. in Ottawa, Canada. As expected, RestSoft was chosen as the point of sale solution for this location. Due to unexpected volume, the recently opened Jersey Joes in Smith Falls, Ontario called us back with an urgent request to expand their point of sale system with a second terminal. In less than 24 hours we we're able to have a second POS terminal setup and running for them. RestSoft is always willing to go the extra mile for our clients, even in small towns like Smith Falls, Ontario, Canada. Willys Pizza continues to expand with their new location in Barrhaven and continues their 10 year relationship with RestSoft Point of Sale. Jersey Joes Pizza and Subs has opened a second location in Smith Falls, Ontario and continues to use RestSoft as their POS solutions provider. While doing recent hardware upgrades, Milano Pizza in Bourget, Ontario decided to upgrade their POS software to RestSoft 6.0. We always recommend that our customers consider doing regular hardware upgrades prior to expected end of life (5 years). Willys Pizza has decided to take advantage of the new RestSoft 6.0 features and has upgraded all of their franchise's to the latest version of RestSoft. Newly re-opened, Milano Pizzeria in Almonte Ontario has upgraded to the latest version of RestSoft. This will allow the owners to take advantage of RestSoft's new remote reporting capabilities. Their previous version, RestSoft 2.0 was originally installed in 2002. The Ottawa area's newest steak and seafood haus fine dining restaurant selected RestSoft as their point of sale solution provider. This installation included 2 POS touch screen workstations (with planned expansion) as well as our custom built back office server. All printing is handled by Epson receipt printers. Long time RestSoft client Isabella Pizza has upgraded to RestSoft 6.0 including RestSoft Web Reports allowing the owner to receive remote sales reports via email and text messaging . Ogilvie Pizza in Ottawa's east end has selected RestSoft 6.0 as their point of sale solution. Lighthouse Restaurant & Grocery located in Constance Bay, ON, has chosen to update their RestSoft solution to RestSoft 6.0 and upgrade their hardware to include touch screen capability. After using RestSoft for about 1 year, the owners decided to upgrade their hardware to use touch screen monitors to make the dine-in order entry a little easier and quicker for staff. House of Pizza (1574 Walkley R.d) has chosen RestSoft as their point of sale solution provider. This install included replacing an existing 2 or 3 year old point of sale product with RestSoft 6.0. The install was more complicated than most due to the requirement to use the existing mismatched hardware. After completed, the owner had a 3 terminal, 4 printer, touch screen and internet integrated point of sale solution. After 8 successful years of using RestSoft restaurant point of sale software, Calabogie Pizza in Calabogie Ontario has upgraded to the newest version of RestSoft. This upgraded included all new hardware including a 21 inch touch screen monitor plus full internet integration. One of the oldest family restaurants in Manotick, Ontario has selected RestSoft Pro as their point of sale solution. This solution included full dining room and take-out modules to allow the user to quickly switch between dining room service and take-out service. After seeing RestSoft Pro in other restaurants, the owner of Pizza Palace (http://www.pizzapalace.ca/) selected RestSoft Pro as his point of sale solution. Upon reviewing our system in another store running our software products, the owners of Papa Tony' pizza (http://www.papatonys.ca/) chose RestSoft 5.0 as their point of sale solution. After many successful years of using RestSoft 3.0, Willys upgrades to RestSoft 5.0 + uses us to help integrate their security camera system with remote access via iPhone. One of Barrhaven's oldest pizza stores has chosen RestSoft 5.0 as their point of sale solution. Bronson Pizza has opened their second Ottawa location and again has chosen RestSoft 5.0 as their point of sale solution. The new management of the Jersey Joe's Pizzeria, located in small town Perth Ontario, has chosen RestSoft 5.0 as their point of sale solution. The new management of the Lighthouse Restaurant & Grocery located in Constance Bay, ON, has chosen RestSoft 5.0 as their point of sale solution. This solution was highly customized to handle this store's unique menu and physical location of work areas. One of Ottawa's oldest pizzeria's, Merivale Pizza has chosen RestSoft 5.0 as their point of sale solution. Yorgo's Greek Food of Ottawa chose a custom version of RestSoft 5.0 as their point of sale solution. Call RestSoft now and ask about how our custom software solutions can solve your point of sale issues. Unlike a lot of point of sale software re-sellers, RestSoft is busy updating it's customer software to correctly handle the new HST. The new owners of Rami Pizza in Rockland chose RestSoft 5.0 as their point of sale solution. The newly opened Colonade City Pizza in Ottawa has chosen RestSoft 5.0 as their point of sale solution. The owner has used our software for many years so when he opened his new store the choice was obvious! The newly opened Milano Pizza, Innes R.d, Ottawa is the first pizza take-out restaurant to use RestSoft 5.0. Now featuring "Intelligent Touchscreen" technology. Today we launched our new web site www.mypizzastore.com. This web site the serve as the "engine" for our upcoming, next generation, point of sale solution RestSoft 5.0. Check back later for more exciting details. Finch's most popular restaurant/bar has selected RestSoft as their point of sale solution provider. Milano Pizza has just enhanced their operation by upgrading to the latest version of RestSoft Pro. Just opened Carlos Pizza has chosen newly released RestSoft 4.0 as their point of sale solution. We have just released a new version of our popular take-out restaurant point of sale solution. Some new features include enhanced caller id, customer order history and integrated online mapping software. The new owners of one of Ottawa's oldest pizzeria's has selected RestSoft at their point of sale solution experts. The new owner of Happy Times Pizza has selected RestSoft Pro 4.0 as their point of sale solution. Installation and support were provided remotely from Ottawa. Lamee's Pizza has chosen RestSoft as their point of sale systems integrator. Crusty Pizza selects RestSoft Pro 3.0 as their point of sale solution. Installation and support were provided remotely from Ottawa. Peninsula Pizza selects RestSoft Pro 3.0 as their point of sale solution. Installation and support were provided remotely from Ottawa. One of Ottawa's original pizzeria's selects RestSoft Pro 3.0 as their first POS solution. After many years of using paper and pen, Lorenzo's Pizza selected RestSoft Pro 3.0 as their first POS solution. After 19 years of serving their customers "the old way", Tony's Pizza selected RestSoft Pro 3.0 as their first POS solution. In the middle of a competitor's POS demo period, the owner of Milano City Pizza decided to give RestSoft a call. After seeing how easy to use RestSoft Pro 3.0 is, they called the other company to come and remove their demo hardware and software. RestSoft is now their POS solution provider! Having RestSoft Pro 2.0 in his other pizzeria, the owner of Papa Joe's Pizzeria did not hesitate to call RestSoft for his new store. Jo-Jo's Pizza is a very busy pizza place. RestSoft Pro 3.0 (Network Version) was selected to accommodate the needs of this busy pizzeria. RestSoft software is now in even more small towns. Having seen RestSoft Pro in another restaurant, the owner of the newly opened Calabogie Pizzeria chose RestSoft Pro 3.0 for their point of sale solution. Milano Pizzeria, Montreal, Quebec has chosen RestSoft Pro. as their point of sale solution. RestSoft Pro now comes in your choice of official language (English or French) at no extra charge. Milano Pizzeria franchisee's (Alfred Ontario, VanKleek Hill, Ontario) continue to chose RestSoft Pro for their new store locations. Join the winning team, contact RestSoft at (613) 794-9055 or info@RestSoft.com. Zio Nicolas has selected RestSoft Pro as their point-of-sale solution. Located just outside of Ottawa, River Pizzeria has selected RestSoft Pro as their point-of-sale solution. Milano Pizzeria, Plantagent, Ont. has selected RestSoft Pro as their point-of-sale solution. With RestSoft Pro dependability, you do not need to worry if your store location is located far away from RestSoft headquarters in Ottawa, Ont., Canada. Local restaurant franchise Wing Zone has selected RestSoft to develop a custom call center application to allow for centralized dispatching of customer orders. Using a one number phone system will allow franchise headquarters to control customer service and ensure a consistent order taking process and save phone service costs at the same time. Contact RestSoft at (613) 794-9055 or info@RestSoft.com for all of your custom application development needs. Milano Pizzeria, Ste. Isidore, Ont. has selected RestSoft Pro as their point-of-sale solution. With RestSoft Pro dependability, you do not need to worry if your store location is located far away from RestSoft headquarters in Ottawa, Ont., Canada. Today RestSoft launched a new web site www.forsaletoronto.com using our proven on-line classified "engine" technology. RestSoft excels at developing re-usable software solutions. What can we develop for you? After considering installing a point of sale solution for a long time, Georgies Pizza chose RestSoft as there solution provider. Today RestSoft launched a new web site www.forsaleottawa.com. Our client had a requirement to build a simple site that would allow users to browse and post FREE online ads. Point Of Sale applications or web based applications, building custom business solutions is what RestSoft is all about. This month we were contacted by newly opened Wing Zone in Ottawa, Canada. Having seen RestSoft Pro used in pizza restaurants around the city, the owners requested that we adapt RestSoft Pro to work in their new restaurant. Within days they had a complete POS solution for their new restaurant. Flexibility and customization are our strengths.